Graham Potter has insisted that Swansea City will be patient with Daniel James after his Leeds United move collapsed during the final few hours of deadline day in England. 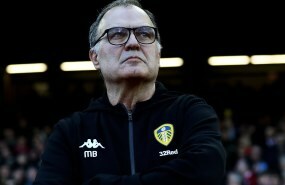 The 21-year-old was set to join Leeds on a loan deal until the end of the season with an option to make it permanent, if the Whites secured promotion to the Premier League. However, the proposed move fell through in the final few hours of deadline day in England and James had to return to Swansea, despite passing a medical with Leeds. In the wake of missing out on a switch to Elland Road, the winger was left out of the Swansea team that lost 2-0 against Bristol City on Saturday. And Potter insisted that Swansea will remain patient with James by stating his head was not in the right place to be involved in action on Saturday in the Championship. The Swansea boss also admitted the club will remain patient with him in a bid to restore his confidence after what has been a tough period off the pitch. "He's had a tough 24, 48 hours, he needed to clear his head”, Potter was quoted as saying by the BBC. "And [he] didn't feel he was in the right place to play this weekend, he'll come back in on Monday and be ready to help the team. "Unfortunately it's part of football and one of those moments. "He's a young lad and a fantastic boy. "We've got a lot of time for him but we understand he's been through a tough period so we need to be patient with him." James, who is out of contract in 2020, has scored twice and registered five assists from 21 appearances across all competitions this term.